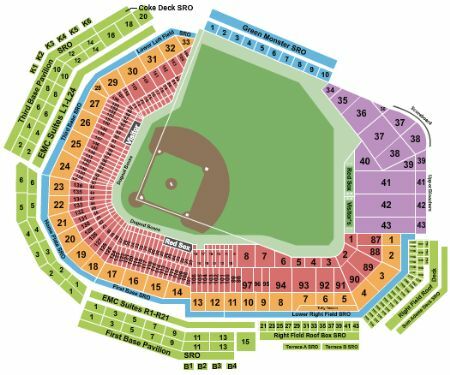 Boston Red Sox vs. New York Yankees Tickets - 9/9/2019 - Fenway Park in Boston at Stub.com! MobileQR Entry. Scan your tickets from your mobile phone for this event. Do not print these tickets. Tickets will be ready for delivery by Sep 05, 2019. Aisle Seats. Tickets will be ready for delivery by Sep 02, 2019. ADA accessible these tickets allow for wheelchair access if needed. Chairs are provided for non-wheelchair customers. Tickets will be ready for delivery by Sep 05, 2019. ADA accessible these tickets allow for wheelchair access if needed. Chairs are provided for non-wheelchair customers. These seats are located in the designated Family Section. Alcohol is not permitted in the Family Section. Tickets will be ready for delivery by Sep 05, 2019. Aisle seats if entire quantity is purchased. Tickets will be ready for delivery by Sep 07, 2019. The view from these seats may be impacted by walkway traffic. Tickets will be ready for delivery by Sep 08, 2019.